Donna is delighted to be involved with a number of charities which are important to her; supporting maternal and neonatal wellbeing, social inclusion and excellence in end of life care at home. Below is a summary of both up and coming and previous events she has actively participated in. The Community coat rack in Chichester was so successful it ran past Christmas. Supported by the Chichester Post, the coat rack held under the arches at the Assembly Rooms in the city centre has seen hundreds of coats donated and collected by those in need. Donna Ockenden, who set up the initiative said the people of Chichester had been incredibly generous and there was no sign of donations or collections slowing down. The Four Streets Project Community Coat rack in Chichester returns for the third year running having ‘re-homed’ hundreds of coats over the last two winters. The aim is to ensure that no one in the city or surrounding areas lacks a warm coat this winter. Founder; Donna Ockenden said “Our simple message is: If you have a spare coat in clean and good condition please leave it on the rack. If you need a coat please come and take one!” Anyone wishing to donate a coat is asked to visit the rack, which will be kept underneath the portico of the city council’s Assembly Rooms in North Street. The annual Ockenden Award for Charitable Endeavour at the junior school of Portsmouth High School for Girls has been announced. The winner is a student who was judged to have made the most effort to support charitable causes in their time at the school. Donna made a donation to the charity of the pupil’s choice and gave a small gift to the winner in recognition of their hard work along with the stunning 1930’s antique cup. Volunteers from the Four Streets Project were invited to an evening of singing Bernsteins music as part of a year long festival in Chichester. The event was held in the Assembly Rooms as a thank you from the community to volunteers. 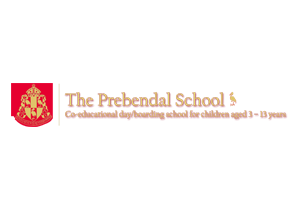 Donna is delighted to work in partnership with teachers of the Junior School at Portsmouth High this summer, to present ‘The Ockenden Award for Helping Others’. The winner will be a student who is judged to have made the most effort to support charitable causes whilst at the school. Donna will also provide a donation to the charity of the pupil’s choice and a small gift to the winner in recognition of their hard work along with the engraved trophy. Donna Ockenden’s daughter, Phoebe, has won an award for her voluntary work for the homeless charity – The Four Streets Project. Phoebe received the Young Citizen of the Year award at the Chichester City Council ceremony in March. Phoebe is one of 26 volunteers who hand out much needed food and supplies every evening to those living on the streets of the city. Back in November Donna Ockenden, the founder of the Four Streets Project, approached Purchases Restaurant in North Street Chichester for help with providing nutritious, tasty and hot food for the homeless people her team work with. Those who are living on the streets are desperate for a hot evening meal and Purchases have been a huge support in creating a tasty and wholesome soup for the cold nights. Through the role of Patron I support fundraising and awareness raising of the profile the six Royal Palaces play in the culture, heritage and history of the United Kingdom. Acting as a Patron of HRP is important in encouraging others to visit and appreciate the Palaces and the contribution they continue to make to contemporary life in the UK in the absence of Government funding. Donna is delighted to work in partnership with teachers at the school to present ‘The Ockenden Award for Charitable Endeavour’. 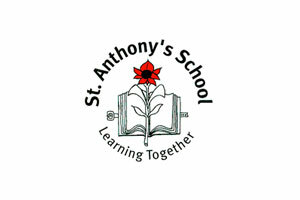 The award is in its fourth year and rewards and supports the efforts of Year 8 pupils. The winner is a student who is judged to have made the most effort to support charitable causes in their time at the school. Donna provides a donation to the charity of the pupil’s choice and a small gift to the winner in recognition of their hard work along with the stunning 1930’s antique cup. A wonderful charity that offers palliative nursing care at home, Donna is delighted to sponsor the nurses choir to sing two songs at Kate’s Home Nursing Christmas Carol Concert 2016. The Charity was set up to nurse patients in their own home through the last stage of illness and to support their families. 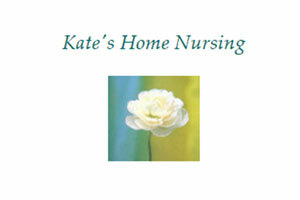 The rural locality reduces the ability of the larger national charities to help so Kate’s Home Nursing fills this gap in provision with its high quality ‘hospice at home’ care. 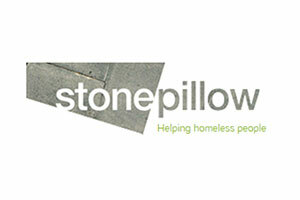 A charity founded in 1989 who provide a lifeline for homeless people with hubs, hostels and supported accommodation in Chichester, Bognor Regis and Littlehampton. Donna and her daughter manned a table at the Vintage and Very Nice Market held at the Chichester Assembly Rooms and raised £336. 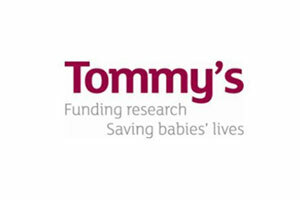 A hugely attended fun run, enjoyed by so many and raising funds for the charity Tommy’s. Donna co-organised the event in Chichester and was thrilled with the turnout and support by all those who took part.